As promised, a few flowers after a lot of veg recently. It has been my mission to add some hellebores to the garden here and there are few more pleasant jobs than choosing hellebores. Yesterday I went to (the impressive) Johnstown garden centre near Naas, west of Dublin, and picked up a couple of gems. As I was walking around the packed benches in the sleet a rich burgundy glow made me change direction and I was pulled to a group of ‘Anna’s Red’. My goodness, how good is this plant! 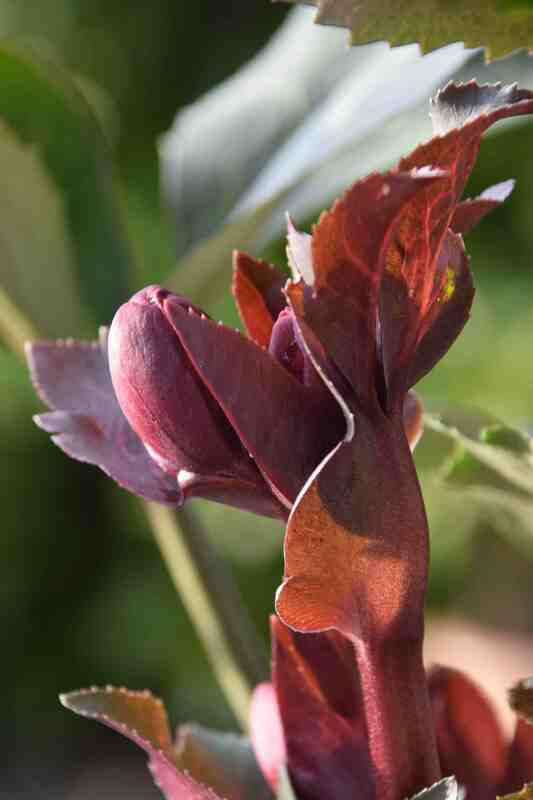 Just when you think that you have seen the ultimate hellebore there is another surprise. Is this the ultimate hellebore? It may just be. Before I get into details, let’s just say that among the recent avalanche of hybrids that have combined the two main groups of hellebores – the caulescent and acaulescent – ie. crosses between the stemless H. niger and the shrubby H. argutifolius (previously H. corsicus) there have been some great results. But the flowers have always been green and white unless the metallic, beetroot-stained influence of H. lividus was in the mix. But boy how that has changed. ‘Anna’s Red’ has big, perfect, rounded, deeply saturated flowers that any H. hybridus would be proud of. This amazing new plant was produced in east Devon (UK) and as the result of years of painstaking breeding by Rodney Davey. 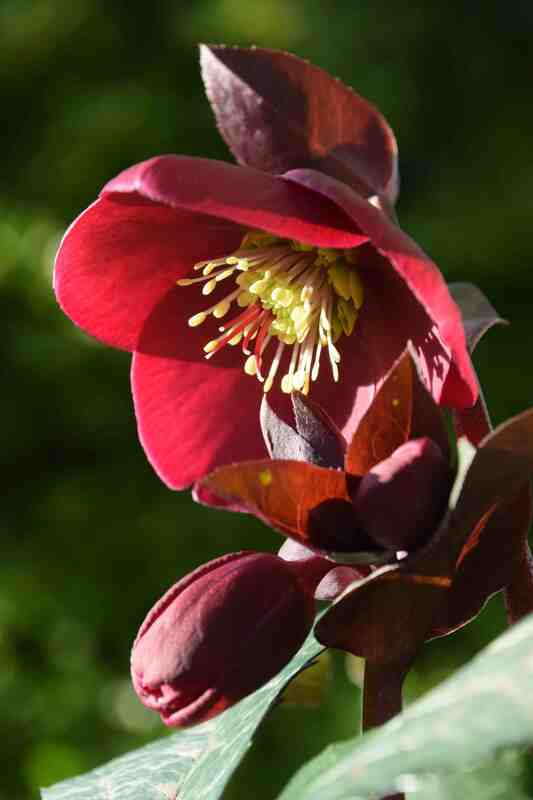 His aim was to produce a hellebore with attractive foliage (something that had already been achieved) but with really good and colourful flowers. By 2010 he had a seedling that fit the bill and it was then micro-propagated and was first available in 2013. 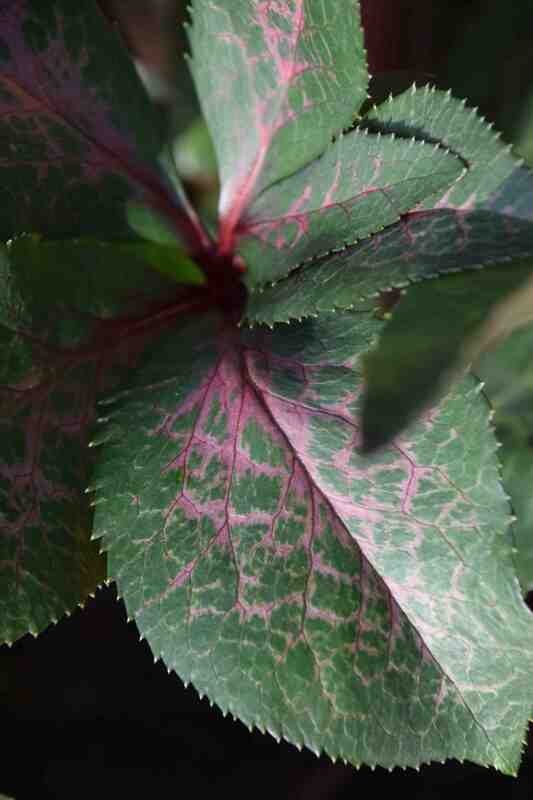 He named it after the British gardening journalist Anna Pavord and its full title is Helleborus (Rodney Davey Marbled Group) ‘Anna’s Red’. The flower stems are rich burgundy. And are the leaves any good? Admittedly, that pink colouration is most distinct on the young leaves and fades to silvery as they age but it is pretty darned good! What an amazing plant. Never has spending €25 been so easy. That is truly stunning…I’ve got to keep an eye out for this one…. That will be alongside! Sadly, though, it’s an unknown variety, a gift, that doesn’t have the good winter colour. Also in the picture, snowdrops and the bronze evergreen grass, Carex buchananii. What do you think?! !